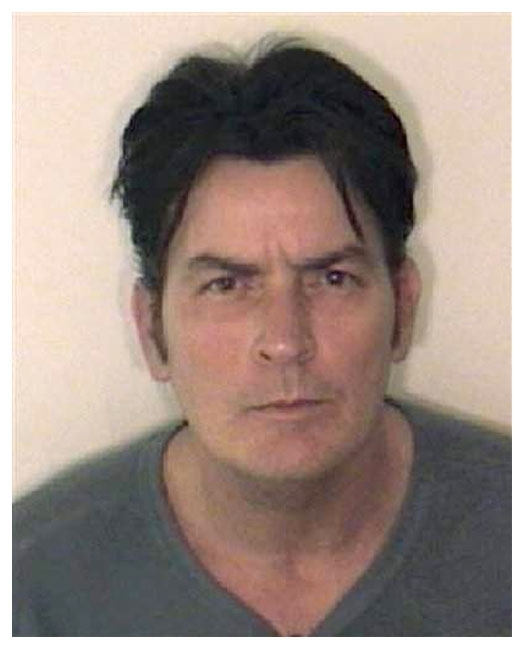 Actor Charlie Sheen was arrested by Aspen, Colorado cops in December 2009 on a domestic violence charge that includes felony assault, felony menacing, and misdemeanor criminal mischief counts. The 44-year-old star of the hit TV show "Two and A-Half Men," who was in the ski resort town with his wife, was booked into the Pitkin County Jail where he posed for the above photo before appearing before a district court judge and posting $8500 bond. Submitted by GeorgeDubyaBush on Tue, 2011-05-24 00:12. Submitted by MikeNC on Tue, 2011-04-19 23:05. Submitted by BLONDECHICK_FTW on Tue, 2011-04-19 14:14. Submitted by Watsons Pills on Wed, 2011-04-06 01:32. Sheen is putting everyone on. He is not crazy. A good actor but not nuts. He gave the interviews when he was coming down off of drugs. Now that he has Americans attention he's going to make millions. You go tiger boy. Submitted by saunterr on Sun, 2011-04-03 22:19. Submitted by cnnjunkie on Thu, 2011-03-24 22:11. "don't worry...i will break myself out using the power of my mind...AHH WINNING"
Submitted by greglisi on Wed, 2011-03-23 18:27. Charlie's got a lotta class.........all low ! Submitted by MustangTerry on Thu, 2011-03-03 17:36.